Polaris Industries reported a 55% increase in sales revenue from Victory Motorcycles in 2010. On-road vehicle sales, for the Victory brand - which consists primarily of Victory Motorcycles, generated $81.6 million in sales for Polaris in 2010. That's a reported increase from $52.8 million reported in 2009. The 2010 fiscal year marked the first year-on-year sales increase for Victory since 2007 and the largest percentage increase since a 70% rise reported in 2003. Polaris reported a record net income of $147.1 million in 2010 including a record $54.5 million in the fourth quarter. “2010 was an exceptional year for Polaris. Not only did we deliver record sales and earnings, but the Polaris team made significant progress toward our long-term strategy and positioned the business for profitable growth in the future. We gained market share in all of our businesses and grew sales in every region of the world,” says Scott Wine, chief executive officer of Polaris Industries Inc.
Polaris reports strong demand for its Cross Country and Cross Roads models. The fourth quarter represented the fifth consecutive quarter of year-on-year sales and market share gains. Victory sales totaled $20.6 million in the quarter ended Dec. 31, 2010, an increase of 8% from the same quarter of 2009. Unit sales increased 15% in the fourth quarter with North American dealers reporting a 30% decline in Victory Motorcycles inventory. We've gotten word from Ducati about some unique photographs from the Ducati Official Fine Art Collection. If you like motorcycles - which I know you do - and you like beautiful women, well this art could something you might appreciate. It's not entirely safe for work (hey, it's Art!) but do check out the links within this post. An exploration of the aesthetical relationship between the female body and the mechanical body of iconic Ducati bikes. Perfect organisms which become the extension of one another. A fine art edition available exclusively on: www.ducatiart.com. The “Desmo” collection presents sixteen unique photographs in which the artist has approached and juxtaposed the abstract qualities of the organic and mechanical forms, highlighting both the complexity in design and the emotion of iconic Ducati motorcycles. The shots explore the multiple relationships between the designed and the natural. The lines of the mechanical body reflecting the lines of the organic form it was designed after. The unique color palette of the motorcycle extends from the framework to the features of the model. The model is in an extension of the bike herself. Elizabeth Raab (b. 1981) is a photographic artist specializing in automotive and creative portraiture imagery. Her images often contain a visually strong emotional sensuality that crosses the boundary between her subjects and objects. Uniquely vivid color palettes and a detached sense of forlorn beauty and intrigued silence permeate most of Elizabeth’s scenes, as realism and objectivity are commonly set aside. Elizabeth’s career in the arts started with her move to Rome, Italy in 1999 where she lived for two years working in creative portraiture before returning to her native North West in 2001. She has recently been most noted for her work in conjunction with Ducati motorcycles and now resides in Brooklyn, New York with her husband and their two children. The artworks from the “Desmo” Collection are reproduced exclusively in numbered editions. Each artwork is accompanied by a certificate of authenticity and limited edition, guaranteeing its collector value. They are available exclusively on www.ducatiart.com. The legend of Ducati formulated through the language of graphic art and art photography. Ducati bike design, technology and message become authentic art to design the life and working spaces of Ducatisti, bike enthusiasts and art collectors. Ducati artworks are authentic originals reproduced as museum quality fine art giclée prints. The works are by upcoming and established international artists, illustrators and photographers, passionate about bikes and mechanical design products. The Ducati Official Fine Art Collection unites Ducati aficionados, bike enthusiasts and artists to give motorcycle design a new form of expression. The Ducati Official Fine Art Collection is an artistic venture between Ducati and Cultwork. Cultwork is a unique lifestyle fine art brand and publisher of fine art print editions in collaboration with iconic brands. CONCORD, Ontario (January 25, 2011) – True to the spirit of the Harley-Davidson motorcycling culture, Harley-Davidson® enthusiasts have demonstrated strong support to Rethink Breast Cancer’s cause through the purchase of Pink Label Collection garments which the Harley-Davidson® Brand introduced in Canada in January 2010. Since the launch of its partnership with Rethink in March 2009, Deeley Harley-Davidson Canada has been able to contribute over $53,000 to the charity to aid in the continued operation and expansion of their vital education, research, and supportive care programs across Canada. There are approximately 5,000 women under the age of 50 diagnosed with breast cancer in Canada every year. Spread across our vast country, they often feel isolated and struggle to find support that is relevant to them. Thanks to the generous contribution of a number of companies, Rethink will be able to continue to fill support gaps for young women in Canada. “We are delighted with our partnership with Deeley Harley-Davidson [Canada], a company passionate about the cause and committed to empowering Canadian women through awareness and education about the disease,” says MJ DeCoteau, Executive Director of Rethink Breast Cancer. “The dollars raised have made a tremendous impact on our organization and have helped Rethink get closer to its goal of reaching every newly diagnosed young woman in the country and making all young women (and men) aware of the risk factors of the disease”. Deeley Harley-Davidson Canada, the exclusive distributor of Harley-Davidson products in Canada, is proud to announce that it will be growing its partnership with Rethink Breast Cancer and continuing to help the charity achieve its mission by offering an even more extensive clothing line consisting of 25 items. A portion of the sales proceeds from each item will go towards Rethink. Six trendy new items have been added to the Pink Label Collection to include a stylish rhinestone-refined Pink Label Embellished Hoodie (part number 99195-11VW), a Pink Label Embellished Hooded Pullover (part number 99196-11VW), a revamped Pink Label Activewear Hoodie (part number 99197-11VW), a new Pink Label Headwrap (part number 99426-11VW), a practical Pink Label Travel Mug (part number 99401-11V), as well as a symbolic, yet essential, Pink Label Water Bottle (part number 99402-11V). Tagged with the motto “Purchase with a Purpose”, the Canadian Pink Label Collection features a tasteful touch of pink on stylish MotorClothes silhouettes and also makes for a perfect Valentine’s Day gift for your loved ones. The collection will be available in-Store at authorized participating Harley-Davidson Retail Stores as of February. Deeley Harley-Davidson Canada is proud of its alliance with Rethink Breast Cancer, an organisation that is dedicated to providing innovative education, research, and support programs and shares a common desire to empower women. This partnership fits perfectly with the broader Harley-Davidson Garage Party event initiative in Canada, one with women as its focal point. Many of the 60+ Retailers across Canada hosting Garage Party events in the month of March will be showcasing the brand-new Pink Label Collection. These events assist women in starting the incredibly rewarding experience of cruising the open roads and living the dream. For further information on the nearest Garage Party event, go to www.garageparty.ca. To find out more about the Pink Label Collection in Canada, or to purchase items from the collection, visit your local Harley-Davidson Retail Store, or visit www.harleycanada.com. Launched in 2001, Rethink is the first-ever Canadian breast cancer charity to bring bold, relevant awareness to the under-40 crowd, to foster a new generation of young and influential breast cancer supporters, to infuse sass and style into the cause, and, most importantly, to respond to the unique needs of the young women going through it. To find out more about Rethink Breast Cancer, visit www.rethinkbreastcancer.com. Concord, Ontario (January 21, 2011) – Lean as wire, hard as iron, and dark as a tar road at midnight, the new Blackline motorcycle is a Harley-Davidson Softail model pared to the bone. A rebellious creation of the Dark Custom movement, the Blackline model celebrates three fundamental elements of motorcycling: mechanical beauty, internal combustion, and the long black line of the road ahead. The Blackline motorcycle balances allegiance with rebellion, discarding previous conventions of colour and chrome for a Dark Custom look that is honest, functional, and attainable. Visual elements of the original bobber movement are combined with the raw, hand-hewn style embraced by today’s young builders. The Blackline motorcycle, available in Canada at a MSRP of $17,149, throws new fuel on a fire that burns across generations: an unquenchable desire to ride. Stripped to the legal limit, the Blackline motorcycle keeps decorative trim and lighting sparse. 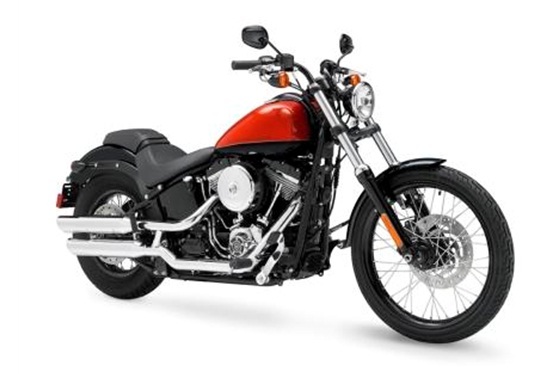 The rear fender is bobbed high and tight over a slim, 144-mm tire that emphasizes an authentic hard-tail profile. The compact headlight and speedometer are tucked low into the wide, FX front end, and there is just enough shine to make the black parts look blacker. Black-rimmed laced wheels complete a look that is tough, tempered, and undeniably typical of the Harley-Davidson Brand. The styling spotlight shines on a Big Twin engine dressed in black and silver, and on a fuel tank shaved smooth and low. Aboard the Blackline bike, the rider hugs the frame on the lowest two-up seat ever offered by Harley-Davidson Motor Company, and reaches high for new Split Drag handlebars that are bolted right to the top triple-clamp. The Softail chassis uses rear suspension control provided by coil-over shock absorbers mounted horizontally along the frame rails below the powertrain, where they are kept out of sight. So while the swingarm section replicates the lines of a vintage hard-tail frame, the Blackline motorcycle delivers suspension performance and handling that are thoroughly modern. The internally counter-balanced Twin Cam 96B engine is rigid-mounted within the frame, creating a solid connection between rider and power that moves the motorcycle to enhance the emotional riding experience. - The powertrain is finished with a gloss black powder coating on the rocker box covers, the crankcase, the outer primary cover, and the transmission side cover. The cylinders have a silver powder coating with machined highlights. The derby cover and timing covers are chromed. - Rigid-mounted, counter-balanced Twin Cam 96B V-Twin engine with Electronic Sequential Port Fuel Injection (ESPFI), rated at 89 ft. lbs., peak torque at 3,250 rpm. - Six-speed Cruise Drive transmission. - NEW Round air cleaner cover in brilliant chrome. - NEW Black Denim powder-coated frame and swingarm. - NEW Profile laced aluminum wheels with black anodized rims. Front wheel is 21 x 2.15 inches; rear wheel is 16 x 3 inches. Dunlop D402 tires are MH90-21 front and MU85B16 rear. - NEW FX front end with black powder-coated triple clamps and black painted fork lowers. - NEW Split Drag internally wired handlebars mount directly to the top triple clamp. - NEW Asymmetric five-gallon Softail fuel tank is clean on the left side, with a low-profile fuel fill on the right. Die-cast Blackline trim panel flowing down the centre of the tank is just high enough to cover the fuel pump hardware. - NEW Analogue speedometer on a triple-clamp mount that also holds indicator lights. LCD screen on the speedometer includes low-fuel warning and “kilometres to empty” display function. - The Canadian configuration features a new bobbed rear fender with centre mounted LED tail light and licence plate illuminator, along with a new composite licence plate holder mounted on the lower edge of the fender. - NEW Raw forged rear fender supports are finished in Black Denim powder coating. - NEW One-piece, two-up seat and passenger pillion. Laden rider seat height is 24 inches, the lowest two-up seat offered by Harley-Davidson. The gap between the nose of the seat and the fuel tank exposes the top of the frame. - NEW 5.75-inch diameter headlamp in a glossy black shell. - Polished forward foot controls. - Over/under chrome shotgun exhaust. - Optional security package with anti-lock braking system and Smart Security System. 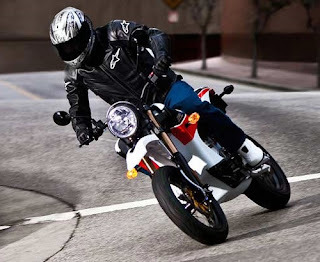 Zero Motorcycles build new US manufacturing facilities as it ramps up for continued growth in 2011. Zero Motorcycles, the global leader in the electric motorcycle industry, has announced plans to open a new motorcycle manufacturing facility that will more than double the company’s current production capacity. Being built alongside Zero Motorcycles’ corporate headquarters in Santa Cruz County, it will provide Zero with a powerful competitive advantage in a fast paced industry. By keeping manufacturing and R&D working shoulder to shoulder, Zero’s strategy is to streamline the inclusion of their latest technology into production before the competition. Falling on the heels of Zero’s recently announced $1.84 million ‘next generation’ powertrain project, the new factory is another sign of the company’s continued growth and momentum. For motorcyclists the result will be more advanced motorcycles that they can actually own and for California this means more ‘green jobs’. We got an email from Jeff Pennock over at VRide TV and he's been hard at it again. He's posted yet another video motorcycling in Canada video. A new high definition video has been posted of a Lakeside Motorcycle Ride in British Columbia. After watching the video be sure to visit our news and blog pages to see what has been going on since your last visit. He's got some nice looking 2011 motorcycle touring and travel calendars as well - they're 40% off so pick something up today. 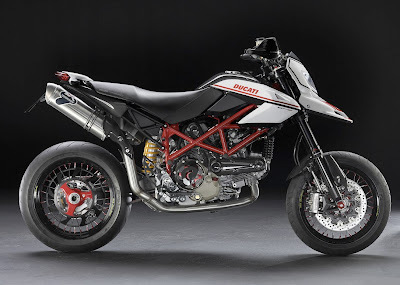 And a little more news about Ducati that will cause some inconvenience for a few Canadian Ducati riders at least. Ducati has issued a recall affecting the engine of 131 units. On certain motorcycles, the engine could stall while downshifting or maneuvering with the clutch disengaged and the engine at idle. Lost propulsion (engine stalling), in conjunction with traffic and road conditions, and rider's reactions, could increase the risk of a crash causing property damage and/or personal injury. Correction: Dealers will update Engine Control Unit software. The company announced retail sales growth of eight percent in the third quarter and nine percent in the fourth quarter of 2010, defying the trend of an industry that declined 15 percent and 14 percent in each respective quarter. Ducati closed the year with record market share in North America due to a combination of innovative new product, dealer network support and dynamic marketing programs. The Ducati Performance department; which oversees accessories, apparel and spare parts, followed the positive trend set by motorcycle sales. In 2010, spare part sales were up seven percent, accessories up five percent and apparel sales increased a phenomenal 24 percent. The company has more innovative programs set for 2011 that promise to deliver a further increase in Ducati Performance sales. Ducati’s marketing programs were another cornerstone of the brand’s 2010 successes. 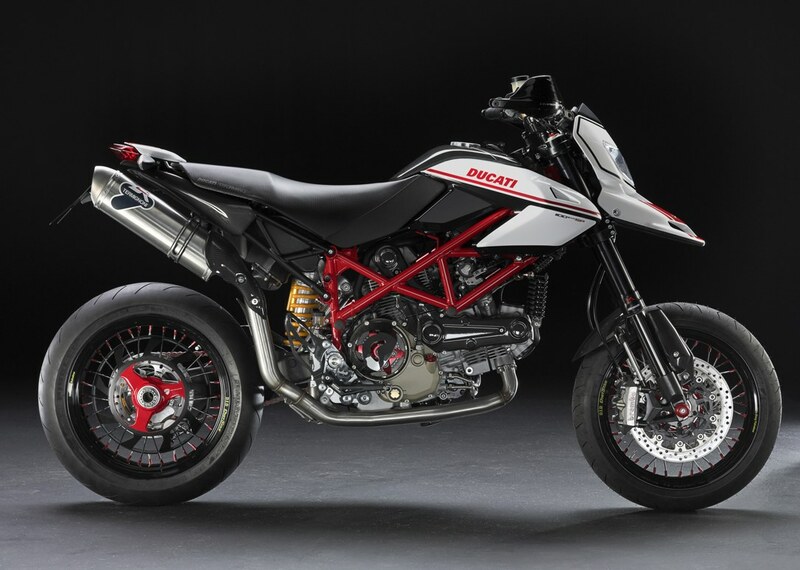 Ducati raced and won the Pikes Peak International Hill Climb with the versatile Multistrada 1200 and re-signed American MotoGP rider, Nicky Hayden. Perhaps the most exciting was the addition of Italian icon, Valentino Rossi, to Ducati’s MotoGP racing team. Ducati prominently appeared in blockbuster films including Wall Street: Money Never Sleeps, Knight & Day and Tron Legacy. The Ducati Islands were the off-track center of attention at the three international road races in the United States, while the Ducati Academy redefined the standard in dealer training. Unveiled at November’s EICMA Milan Motorcycle Show, the new-for-2011 Ducati Diavel has set the stage for further success the New Year. For more information about Ducati North America, and Ducati’s line of performance motorcycles; please visit www.ducatiusa.com. We just got word from the folks at Harley Davidson that on Jan 21st they're going to be officially introducing a brand new model into the Harley-Davidson family! Darren James, (racer #29) will be doing the honours of unveiling it at just after 10:00am on Jan. 21st at the Vancouver MMIC Show at the Tradex Centre in Abbottsford, BC. More information should arrive on Friday of this week. So stay tuned! 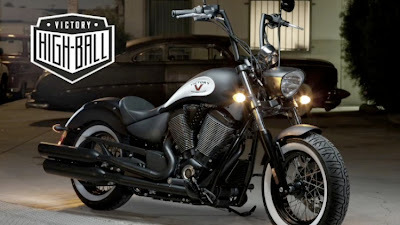 Concord, Ontario (January 18, 2011) – The highly rated Fly & Ride Program will now be delivered through Harley-Davidson Authorized Rentals at Retail locations ranging from Anchorage, Alaska, to Johannesburg, South Africa. For 2011, the Harley Owners Group Fly & Ride Motorcycle Rental Program will grow nearly ten times bigger with rental locations for Fly & Ride increasing from 37 to more than 300 locations around the world. This expansion gives H.O.G. members worldwide another way to hit the road for their future adventures. H.O.G. members will enjoy a premium experience when they rent through the program. H.O.G. members can access more information through the exclusive members’ website (members.hog.com) and can find participating worldwide Harley-Davidson Authorized Rentals locations at hdrentals.com. BMW Motorrad raises sales by 12.3% and boosts global market position. Encouraging sales trends on all relevant motorcycle markets. Market leader in eleven countries. Strong sales figures from Husqvarna Motorcycles. Munich. BMW Motorrad can look back on an extraordinarily successful motorcycle season in 2010. By December 2010, 98,047 motorcycles worldwide were delivered to customers (previous year: 87,306 units), a growth of 12.3%. 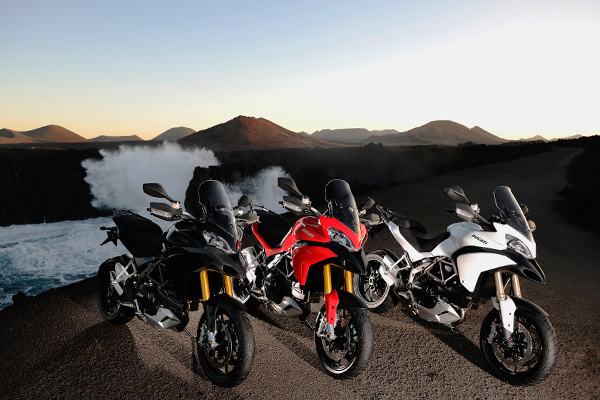 In a highly challenging market environment, BMW Motorrad has recorded the strongest growth by far in the competition. The next most important sales markets are the USA, France, Spain, and the UK, followed by Brazil. The latter emerging market is gradually becoming one of BMW Motorrad's strongest sales markets. To do just to the importance of this market, BMW Motorrad will continue to expand its local motorcycle production facility in Manaus/Brazil, which was first established at the end of 2009. R 1200 GS once again the most successful BMW Motorcycle. BMW Motorrad also experienced extraordinary success with the S 1000 RR. In the first full year of marketing, 10,209 units were delivered to customers, and the first supersports motorcycle from BMW is heading the sales statistics in Europe. Considerably more than 90% of the orders for these vehicles opted for the innovative “Race ABS” and the dynamic traction control DTC. These new core models with their innovative single-cylinder engine will generate powerful growth stimuli for 2011. 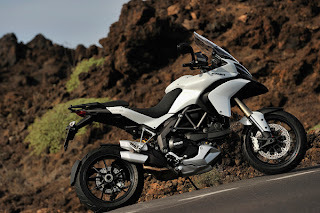 In view of the ongoing model offensive and further expansion of the sales network, the Italian manufacturer is looking forward to significant growth during this year's motorcycle season. We're looking for some assistance from a graphic designer to help produce some new marketing content to jazz up the site a bit. If you're a creative person with a few hours to spare then we want you! Experience with RapidWeaver software by Realmac considered a plus. Contact us HERE with your rates, experience, contact info, and links to sample work you've done if possible. Motorcycle licencing to tighten up in New Brunswick? The death of a prominent lawyer in Saint John, New Brunswick, 46-year-old Caroline Higgins may have future implications for those seeking their motorcycle licence in the province. Ms. Higgins was killed last year after being accidentally struck by an out-of-control motorcycle while she was out jogging. According to the Telegraph Journal, Ms. Higgins' family is now asking the provincial government to make changes to regulations and licensing for motorcycles. They feel that that motorcyclists should be held to the same safety and skill standards as automobile owners. New Brunswick doesn't have a graduated licensing for motorcycle drivers, nor does it require annual mechanical inspections, or training for new drivers. The rider that killed Ms. Higgins had purchased it not long before the accident and it was found to have mechanical problems. The rider who lost control had just recently obtained his licence - about 2 weeks prior to the accident. Thinking about a round the world trip but not sure where to start? Horizons Unlimited - the folks who've been helping adventurers fulfill their dreams for a number of decades now have produced a series of DVD's that'll give you a lot on invaluable knowledge gleaned from people with experience. The entire series can be bought for $139 USD or you can buy just the individual video's that interest you. For more details check out the Horizon's Unlimited website HERE. Canadian connection! : Grant and Susan; the people behind Horizon's Unlimited are both Canadians, though they now live in the UK according to their website. 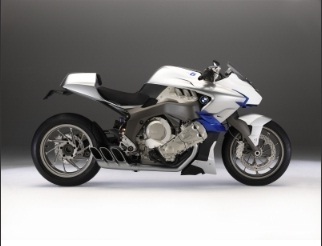 BMW Motorrad receives “2010 GOOD DESIGN Award” for BMW S 1000 RR and BMW Concept 6. 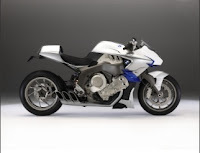 Due to their exceptional dynamic and emotional design, both the BMW S 1000 RR and the design study BMW Concept 6, already launched at the Milan Motor Show in 2009, received the Chicago Athenaeum’s "2010 GOOD DESIGN Award." Founded in 1950 in Chicago, this is the longest-standing design award in the world with an outstanding reputation: for the last 60 years it has recognized the work of designers and manufacturers who have created outstanding innovative and visionary products, concepts and ideas stretching the envelope beyond what is considered ordinary product design. In 2010, the Chicago Athenaeum: Museum of Architecture and Design received a record number of entries from around the world. In November 2010 the jury met in New York and selected over 500 product designs and graphics from over 36 nations as potential candidates for the GOOD DESIGN Award. All awards and winners will soon be posted on the museum’s website www.chi-athenaeum.org with photographs. The Chicago Athenaeum will also be mounting the annual GOOD DESIGN SHOW in Chicago in June 2011 to exhibit the winning products. What happens when you mix one bobled track, one bobled descending the track, and Chris Pheiffer on his BMW 450X going UP the track - at the same time? Pure entertainment! I don't know who's crazier - the BMW sponsored bobsled riders or Chris Pheiffer. Tiffany Coates - Adventure Rider! You may or may not have heard about Adventure rider extraordinaire Tiffany Coates. She's ridden on five continents on her trusty BMW. According to her website she's "The world's furthest travelled solo woman motorcyclist... with well over a hundred thousand miles have been covered." And there's some Canadian content in her travels - she made a recent trip to Labrador! Canadian Content! The folks at BMW have taken notice of her and in March 2010 they flew her to southern Turkey to film some bike travel exploits for a short documentary. The documentary has now been released and is posted on YouTube. For more information on Tiffany Coates why not check out here website HERE. It's chock full of interesting riding stories and pictures. Enjoy! The new Core Series Paint Program from Harley-Davidson Genuine Motor Accessories offers Harley owners the opportunity to create their own paint using select designs, colours, and finishes. Painted by professional artists and pinstripers to strict original equipment standards, the Core Series offers 58 possible combinations utilizing five designs, six custom colours and the choice of gloss or denim finish. A Customer begins the Core Series process by selecting one of five designs: Two-Tone, Grind, Flames, Graphics or Touring Flames. All designs start with a black base, and are detailed with Vivid Black, Shiny Side Up Silver, Real Fine Red, Push the Boundaries Pink, Agave Blue or Iconic Orange accents. Each design is available in Denim or Gloss finish. The Core Series is available as a complete set, including Factory-fresh sheet metal, for many 2010 and 2011 Harley-Davidson Touring, Sportster, Dyna and Softail models. Core Series colour sets are covered by a two-year Factory warranty when installed within 60 days of the purchase of a new Harley-Davidson motorcycle. Core Series paint is available year-round and in unlimited quantities. Standard lead time is 45 days. 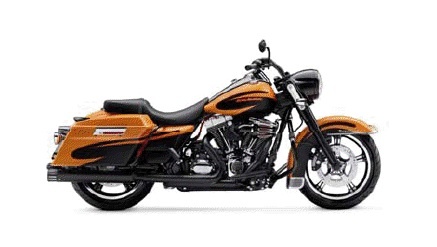 See an authorized Harley-Davidson Retailer for details. Bad guys on the streets in California have one more thing to worry about - stealth police officers on Zero electrick motorcycles! 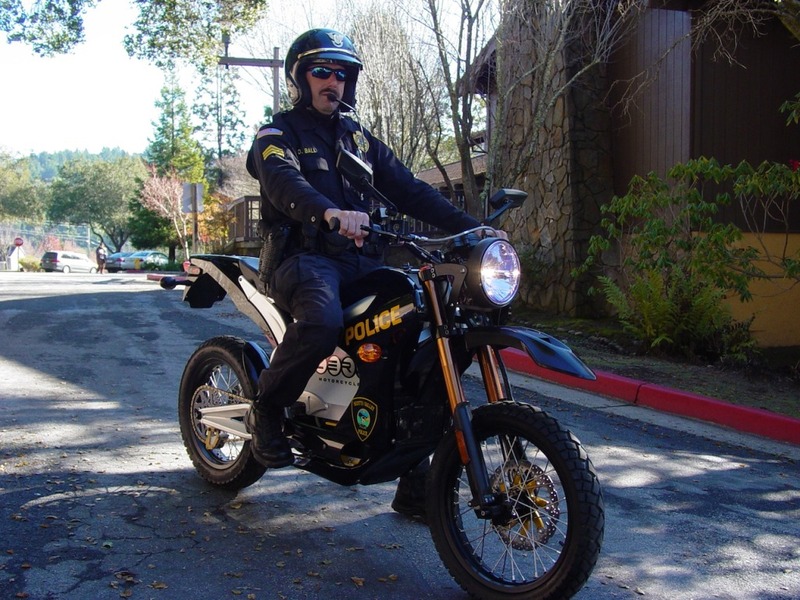 The Scotts Valley Police Department became the first law enforcement agency in California to accept delivery of a Zero DS electric motorcycle to assist in local patrols and traffic enforcement. The acquisition serves as a benchmark for evaluating the performance capabilities of the Zero DS in law enforcement situations, such as responding through traffic and on local bike trails. Due to its remarkably quiet all-electric drivetrain, the Zero DS is the perfect motorcycle for patrolling in urban areas where noise may be a factor. This guy has become somewhat of an Internet phenomenon. Well, over 1 million views on YouTube anyway. When you think of speedy motorcycles to get though all the twists and turns at Deals Gap the first bike that comes to mind probably isn't a banana yellow 1800cc Goldwing. Not until now at least! This guy is FAST! Second Stage win for Marc Coma as two-way KTM battle ensues Marc Coma of Spain took line honors in Stage Four of the Dakar Rally on Thursday to even up the reckoning with arch rival and fellow KTM factory rider, French-born Cyril Despres. Coma also takes control of the overall standings by a mere two seconds in what is shaping up to be a battle royal between the two giants of the sport. Marc Coma of Spain took line honors in Stage Four of the Dakar Rally on Thursday to even up the reckoning with arch rival and fellow KTM factory rider, French-born Cyril Despres. Coma also takes control of the overall standings by a mere two seconds in what is shaping up to be a battle royal between the two giants of the sport. Important day, Coma says Coma said it had been "a very important day" for him, even if a relatively short special. "It was difficult to open the way. I'm happy and I felt great. I hope it stays like that right until the end. The general standings don't matter for the moment. The most important thing will be the last day. It's essential to have a good pace and avoid making mistakes. Now we'll have to deal with two very difficult stages". Coma registered the best provisional time of the day by just 16 seconds over Despres, who had stuck closely to his rival throughout the day's special. Despres was never more than 32 seconds behind and constantly shaved a second here and there as the day progressed as the stage took the riders from San Salvador de Jujuy in Argentina over the Andes and down into Calama on the Chilean side of the border. Riders absolved 554 km on the road and a special of 207 km and were rewarded at the end of the day with their first look at the famed Atacama Desert, the driest region on the planet. "For this type of terrain that's so different you need to change the way your brain's wired. There's no more hard ground, just desert, off-track riding and surfaces that break up. It was a good start to the desert stages. Today, Marc Coma rode a great stage. It's a superb battle with Marc. Today again we opened up a little more of a gap on the others. This evening, I'm in second, 2 seconds behind. For a number 2, that's a neat trick, isn't it?" It was a mixed day for the co-riders of the two leaders. Juan Pedrero of Spain, Coma's partner in the 33rd edition had his best stage so far to finish sixth, just over seven minutes behind the leaders and now moves up to sixth in the overalls. Ruben Faria, Cyril's co-rider was not so lucky and experienced difficulties between waypoint two and four and dropped from third to 26th at the end of the day, Ruben crossed the line in 22nd place and dropped down the order in the generals to seventh place. The two KTM teams can be satisfied that all of their four factory riders are in the top seven after getting into the tougher stages, while Coma and Despres are now pulling ahead of the rest of the field. Today was the day that the Dakar "caravan" crossed the Andes at an altitude of 4800 m via the Paso de Jama pass so competitors had to content with the thin air as well as tough riding conditions, even if the special was only half the distance of yesterday's Stage Three. Organizers had made provision for possible negative affects of the altitude on the competitors and some 30 vehicles were positioned along the course to assist anyone with altitude-related difficulties. Stage Four was also the first stage where bikes, cars and trucks in the rally all followed the same route. 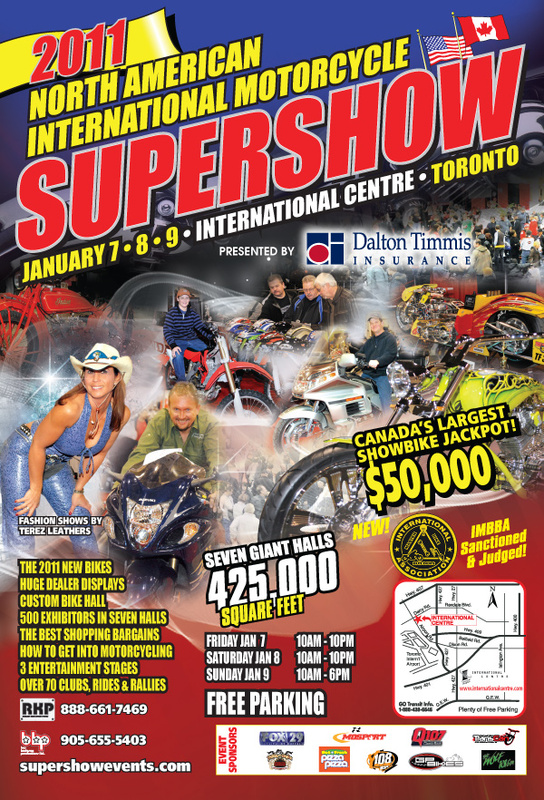 Just a little reminder that the 2011 North American International Motorcycle Supershow is opening its doors this Friday January 7th and running until Sunday, Jan. 9th. 425,000 square feet make it one of the largest motorcycle shows in Canada (if not THE largest). There's lots of free parking, huge dealer displays, all the 2011's, 50 exhibitors, shopping deals, entertainment, and over 70 clubs, rides and rallies. Get the full scoop HERE - Get a discount on your ticket HERE. Chironex Motorsports Inc (an Ottawa-based corporation that develops and distributes motorsports, recreational and utility vehicles) has entered a joint venture with German brand Sachs Bikes International. 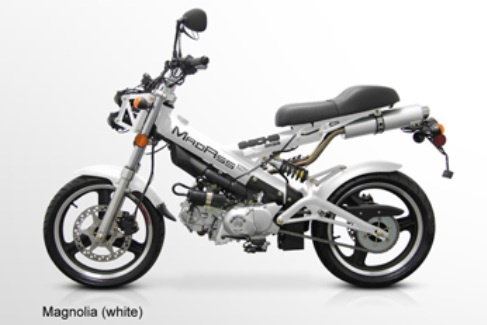 Chironex will act as the exclusive Canadian distributor for the Sachs MadAss 125 motorcycle, starting in the spring of 2011. The MadAss will be available at authorized Chironex dealerships in March at MSRP 3499; the MadAss will only be available in its 125 cc. configuration for 2011. The MadAss 125 features a 125cc 4-stroke motor that drives a motorcycle-style foot shifting manual transmission. The frame of the bike holds fuel in an integral tank and with its 16" wheels and clip-on handlebars, this bike looks as good as it rides. Light weight (209 lbs by most accounts online ), firm damping, fast-response braking, and great handling work in conjunction to give the MadAss its irresistible road feel. The bike is growing in cult-like popularity and tuning options are aplenty. The MadAss is available in 4 colour choices: Charcoal (black), Gunmetal (grey), Madder (red), and Magnolia (white). Founded in 1886, Sachs Bikes International is comprised of a team of accomplished professionals in its research and development, and manufacturing divisions. The company has built a reputation for conceptualizing and subsequently bringing to market innovative and high-performance product offerings, like the MadAss 125. The 2011 running of the Dakar is on - it started on January 1st and runs through to the 16th. The race begins in Buenos Aires and heads north then south in a circuitous route that brings the competitors back to (hopefully) finish in Buenos Aires. The route brings the competitors over 9,500 km, including 5,000 km of racing stages. Wow! Sadly there's no coverage on Canadian television that we're aware of but if you want to keep track of the event there's two very good places to do it. That's on the Dakar website and on a thread on the ADV Rider website HERE. There's no Canadian competitors this year either (that we know of) but if you want to cheer for somebody close to home you might want to watch Jonah Street from the US. He's got a real chance to win - or at least do VERY well - he finished 6th in the opening stage.